Beaton, Belinda A.. "Brandon University". 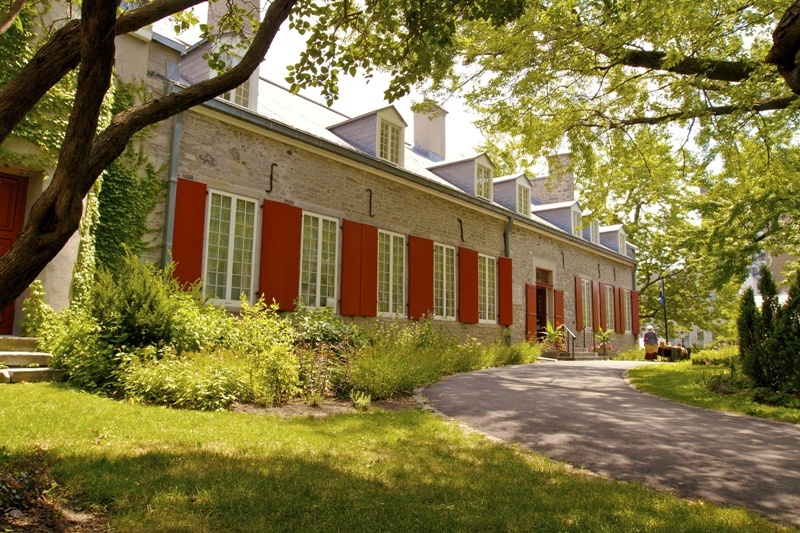 The Canadian Encyclopedia, 15 December 2015, Historica Canada. 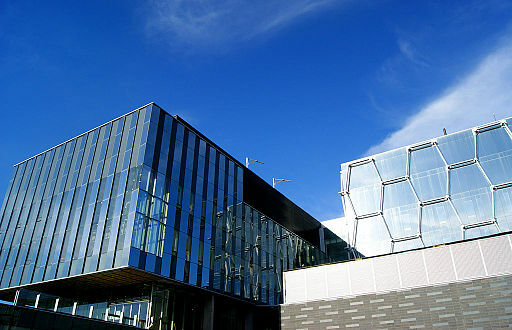 https://www.thecanadianencyclopedia.ca/en/article/brandon-university. Accessed 25 April 2019. 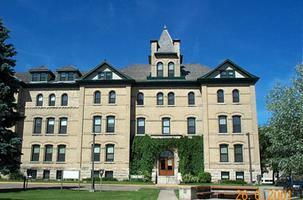 Brandon U offers both undergraduate and graduate courses in arts, science, education and music. It is currently the home base for the SCOPE (Study of Cultural Adaptations in the Canadian Prairie Ecozone) project. 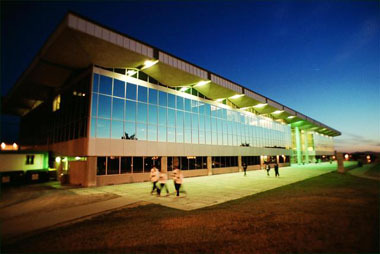 Clark Hall at Brandon University (courtesy Economic Development, City of Brandon). Knowles Building, Brandon University (courtesy Economic Development, City of Brandon). The Brandon University campus (courtesy Economic Development, City of Brandon). Brandon University, Brandon, Manitoba, was founded in 1967. 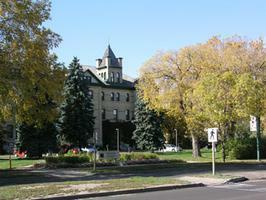 Brandon College, developed by the Baptist Convention of Manitoba and the North-West in 1899, was affiliated with the University of Manitoba until 1911, and then with McMaster University 1910-38. It became nondenominational in 1938 and rejoined U of Manitoba until 1967, when it received its own charter. Brandon University's colours are navy and gold. Brandon UniversityThe official website of Brandon University.